In this age of superheroes reigning the silver screen, perhaps it’s time to remember that heroes don’t always come with a cape or special powers. But they do always have a story to tell inevitably, an obstacle they have to overcome. Just ask Baz Luhrmann, director of The Get Down, an upcoming show on Netflix. Luhrmann, who is also the director of movies like Moulin Rouge! and The Great Gatsby, makes his debut as the director of a show made for television, a change that still manages to retain the same feel and way of storytelling as when he was directing movies. For better or worse, being that this is what the acclaimed director is doing for the first time, this opens Luhrmann up to a lot of attention, and criticism as well. In a word, a feeling that one gets from The Get Down can be summarised as ambivalent. On one hand, the story is original; there is none that comes to mind quite like it, a tale of a ragtag gang of Black and Puerto Rican teenagers looking to make their mark in a tough neighbourhood in the 1970s. The art direction is vivid; you really get a sense of the grittiness of the tough neighbourhood, the complete life in which people enjoyed themselves colourful disco scenes. On the other hand, Luhrmann exhausts a sort of patience with the watcher, a constant itch for the main points to be made by the plot. You might endure boring parts of a movie if the experience is ultimately rewarding and makes you go “ahhh, so that’s why!” at the end when the protagonists finally defeats villain after an unnecessarily long montage, but not so for television, and certainly not for Netflix. And oh the music! Music is a near constant in this show, serving as a backdrop for the mood for every scene. And for good reason too, for all the variety it brings. The show covers many genres, from R&B, hip hop, soul and disco, counting names like Donna Summer, Christina Aguilera, Miguel and even Jaden Smith in the official soundtrack. But perhaps on that same note as the film, sorry, television show entails, the problem with there being a constant background music at all times leaves one wondering if it truly lends any merit to the film overall, rather than to individual scenes. Arguably, one might think some it was distracting at more sombre moments, or worse, ponder as to whether the acting alone could have kept the show afloat if not for the music carrying the scenes forward. What does one make of all this? Give this show a chance. And to be patient with the plot as it slowly reveals itself. The main character’s story at the end of the day, is after all one of growing and development. You never find success being a hip-hop rapper overnight, and you may never get the damsel in distress at the end of the 90 minute runtime, even if you did save her out of a prickly situation. That is something one never gets out of a Marvel movie, and most certainly not out of life either. And if the journey was so long, it may have been very well worth it after all. 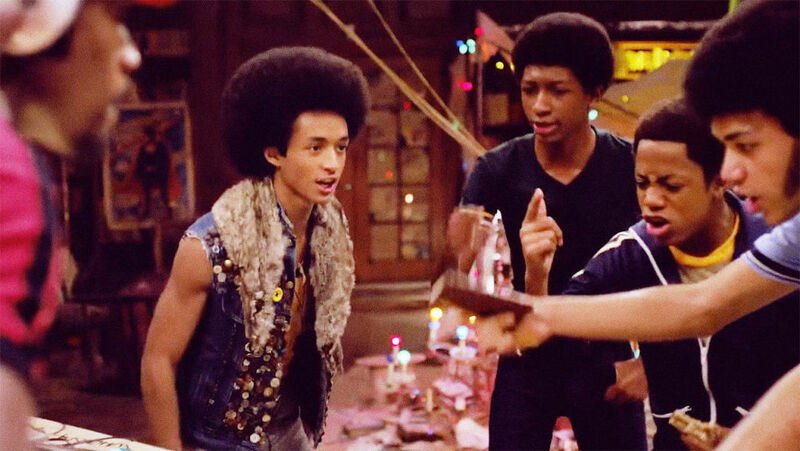 The Get Down was released on 12th August on Netflix.